In precision motion systems, heat sources can cause thermo-mechanical deformation or excessive temperatures, leading to significant loss in performance or system failure. These systems have narrow specs on maximum allowed temperature and deformation, while in some cases being used under vacuum conditions. Possibilities for measuring narrow specs under operational conditions can be limited. Thermal qualification enables accurately benchmarking a system against narrow specs using smart measurements. By measuring thermal responses on pre-defined thermal disturbances under non-operational conditions, thermal behaviour of a system can be accurately determined. Then a benchmark against narrow specs under operational conditions can be done from measured thermal behaviour. At MI-Partners, a method and equipment for thermal qualification have been developed which are used for testing machine components and industrial systems. 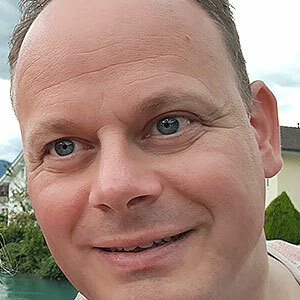 Maurice Limpens studied mechanical engineering at Eindhoven University of Technology, and did a PhD on thermal modelling and design of industrial furnaces. He has been working on industrial precision motion systems for more than 19 years, and has broad experience in troubleshooting and design improvement based upon dedicated analysis and modelling.